Niagara Falls is home to a number of world-class entertainment destinations offering one of a kind excitement and fun to visitors night after night. 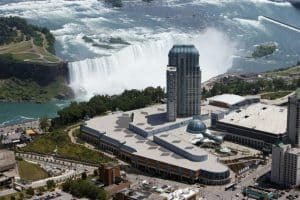 Much of this excitement can be found at the city’s incredible casinos where gaming, live entertainment, and dining are combined to connect visitors with amazing and memorable Niagara Falls experiences. Centrally located on Fallsview Boulevard, Fallsview Casino Resort is a one-stop entertainment destination where you’ll find 200,000 square feet of casino games, world-class entertainment at the 1,500 seat theatre, an amazing Galleria shopping concourse, a number of dining destinations including Ponte Vecchio and Golden Lotus, luxurious hotel accommodations, and more. Whether you drop in for a quick visit or spend the night exploring Fallsview Casino Resort, it’s sure to provide a thrilling and unforgettable experience on your next trip to Niagara Falls. Located just steps from Niagara Falls and connected via indoor walkway to all of Falls Avenue Resort’s hotel, dining, and entertainment destinations, Casino Niagara is an exciting spot that offers two floors of slot machines and table games, an all-you-can-eat Market Buffet featuring food like pizza, chicken, fish, salads, and a dessert station, free live music every Friday and Saturday, and the popular Sports Section where you can sit back and watch the game on 26 HD screens. 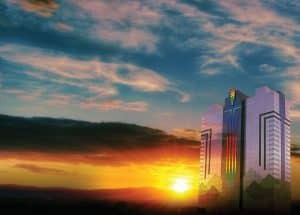 If you’re looking for a fun and lively place to relax and have a good time then Casino Niagara is the perfect place to check out. The Seneca Casino is located just across the border from Niagara Falls, Ontario in neighbouring Niagara Falls, New York and has everything you need for a full night of fun. The casino features an expansive gaming floor with all of your favourite table games and slot machines, a number of wonderful dining spots like The Western Door Steakhouse, Koi, Blues Burger Bar, and La Cascata, and the Seneca Niagara Events Centre where some of the world’s top performers and entertainers put on fabulous shows. If you have the time to make a trip across the border, Seneca Niagara Resort & Casino is definitely a great spot worth visiting.